from East Side Wedding and Streets of Gold. "The Klezmorim probably had more to do with the recovery and revival of klezmer than just about anyone else... 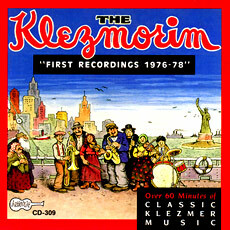 It was The Klezmorim who took klezmer to the streets and made it hip again... This stuff rocks... a damn lot of bands out there today would love to sound this good."